Each product of this series contains minerals and trace elements in the only acceptable form for the body – in the form of readily absorbed organic compounds. Absorbency is 100%. 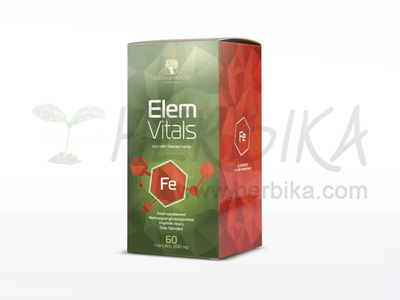 Mineral and trace elements in tablets are overwhelmingly sold in their "natural" form – in the best case. In the worse, in the synthetic form. "Natural" in this case means nothing else than that the mineral containing the relevant trace element is grounded, dosed and packaged in pretty boxes. The result is that these preparations literally pass the organism – the effect is similar to placebo. Additionally, unless these elements are in a suitable combination, rather harm the organism (e.g. zinc drains from the organism itself copper, iodine, selenium, etc.). Gently speaking, it is not just the best way to fill shortages of so important substances, especially with regard to their no or low absorbency. Not only human organism receives trace elements and minerals only when bound to an organic form. Plants transform inorganic compounds from the environment to organic compounds that are structurally related to the body fluids. This form has still been less present in the diet recently. Organic minerals we offer here are bound to Spirulina freshwater algae. Under appropriate conditions, this microalgae has an outsatnding and totally unique ability – can transform inorganic compounds into organic as any other plant, but what is very valuable to us – these organic compounds are almost identical with organic minerals in the human body. Spirulina "animates" inorganic minerals and adjusts them easily to be physiologically acceptable to human body. It is worthy of remark that the method of preparation has long been a top secret because it was developed for the needs of the military-industrial complex. In these preparations, also another selected biologically active substances are always present as contributing cofactors for assimilation by the organism, increase their benefits and allow them to 100% utilization. That's the way it happens in nature. 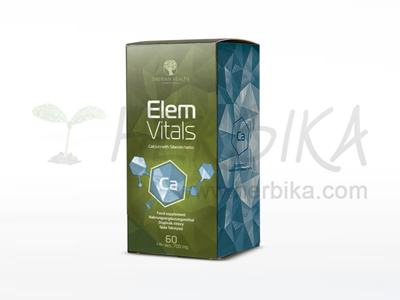 For the preparation of a number of complexes of natural minerals ElemVitals, the technology is used when the element molecules incorporated into organic molecules of acids – citric acid, ascorbic acid and lactic acid as well as to cellular enzymes. It is identical to the process used by the body – such molecules are identical to those which form the human body. 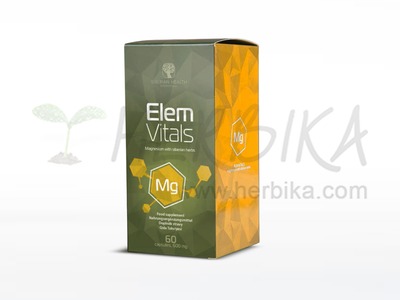 This makes the optimal for the organism and most readily available form, most absorbable and minerals are used completely.